By Nick Moloney | April 7, 2017. 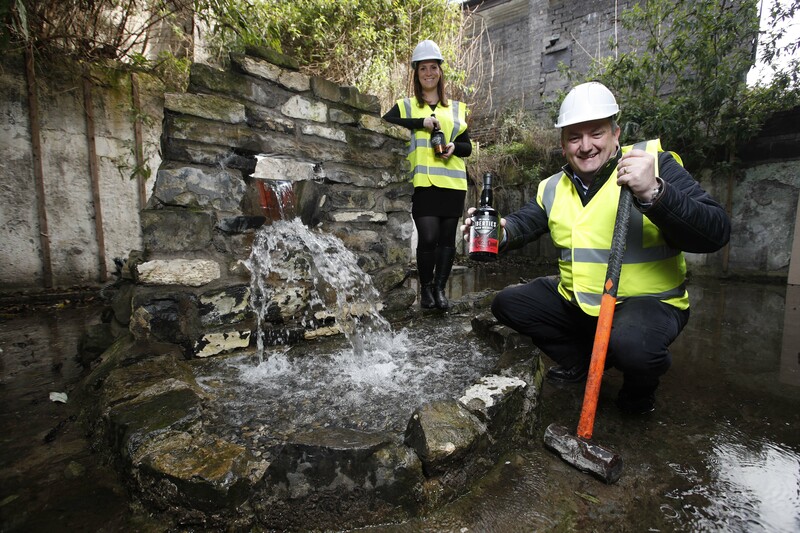 Construction has begun on the new €15 million distillery and visitor centre creating construction and permanent jobs in the local area. The company says 50 construction jobs have been created and 19 permanent positions will become available at the new distillery on Mill Street in the heart of Dublin 8. “Our goal is for The Dublin Liberties Distillery to become one of the leading whiskey producers in Ireland,” Darryl McNally, general manager and master distiller at the Dublin Liberties Distillery, said. The distillery will see the 300-year-old building on Mill Street go under redevelopment, while the plan from SAA Architects will preserve the original features of the old mill and tannery. The visitor centre will take approximately 12 months to complete and the visitor centre is set to open in late spring 2018. “The new distillery and visitor centre is good news for the Liberties area and Dublin as a whole,” Mary Rose Burke, CEO of the Dublin Chamber, said. Burke added: “The Liberties area has huge potential for increased tourist activity, particularly given its proximity to the ‘Dubline’ route between Trinity College and Kilmainham. We would also be keen to see progress in the redevelopment of the Iveagh Markets, which seems to have stalled.